James D. “JD” Bell, Jr. In 1991, JD received a Bachelor of Science in economics from the United States Naval Academy in Annapolis, Maryland. Following temporary duty assignments in Annapolis, JD chose to pursue a career in the Navy Supply Corps, the branch of the Navy that manages budgets, inventory, and contracting. In 1993, after attending the Navy Supply Corps School in Athens, Georgia and the Navy Submarine School in Groton, Connecticut, JD reported to the USS Olympia, a nuclear attack submarine based in Pearl Harbor, Hawaii, as its supply officer. He served in that role for three years, and earned the Submarine Squadron 11 Blue “E” for supply excellence, and in 1995 received the prestigious Batchelder Award, an award that recognizes just five supply officers annually “who have made significant contributions to the supply readiness of the Navy’s operating forces.” JD left the Navy upon completion of his tour on the USS Olympia in June of 1996, and came home to work for his father at EPE. Since 1996, JD has held several management positions at EPE in the areas of purchasing, manufacturing, and programs. As the company’s IT manager, he assisted with the transition to a Windows-based network and new business operating software. In 2000, he served as vice president of operations and oversaw the company’s manufacturing, engineering, quality, and materials functions. In 2007 he was promoted to president, and in 2008, to president and chief executive officer. Jim Bell, Sr., who has been in the electronics manufacturing industry for over 50 years, currently serves as EPE’s Chairman of the Board. Jim co-founded EPE Corporation and has dedicated his life’s work to EPE and the electronics industry. 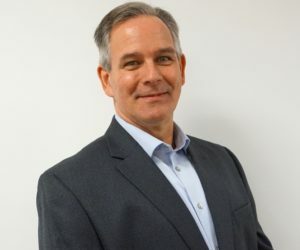 After attending college at Harvard University and a stint in the U.S. Army, he joined his father’s business, Connectronics, as an electronic equipment manufacturer’s representative just as “the industry was just starting to gain traction”. Led by Jim’s keen business sense and entrepreneurial spirit, this business soon evolved into a multifaceted series of connected companies that sold, distributed, manufactured and serviced the electronics industry both in New England and worldwide. In the mid 90’s, Jim guided EPE by combining and focusing its resources to form its current Electronics Manufacturing Services business – a fast-growing sector of the industry. With Jim’s leadership and industry savvy, EPE Corporation garnered many business awards and distinctions as well as unsurpassed growth and sales over the course of four decades. In 2008, Jim became of Chairman of the Board, while Jim Bell Jr. (“JD”), took over as President and CEO of EPE. 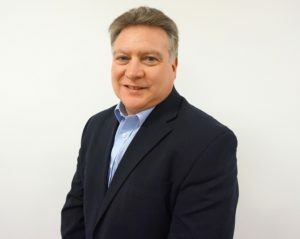 As Chairman, Jim offers a uniquely qualified level of industry savvy and enthusiastically continues his successful career by actively participating in EPE’s planning and operations. Ken began his extensive EMS career right here, at EPE in 1989. He started as a production supervisor for the IM/D division, then ultimately worked his way into program management before leaving EPE in 1999. In 2000, after a brief stint at Celestica, Ken joined Benchmark Electronics where he continued to build his program management experience. After 5 years at Benchmark, Ken became the Director of Manufacturing where he was responsible for a 3 shift 7 day a week operation supporting a $100M+ operation. In 2007 Ken was promoted to the NH Division General Manager position with approximately 450 employees and full site P&L responsibilities. During his 10 year tenure as site General Manager he grew revenue by 87% and moved the entire manufacturing operation from Hudson, NH to Nashua, NH. EPE is excited to have Ken “back home” as Vice President of Operations. His wealth of experience in the EMS industry will add great depth to the EPE team. Terry has served as EPE’s Financial Controller since 2010. In this role she provides financial leadership and has extensive experience in budgeting and profit and loss analysis. Terry also oversees the human resources department and is committed to the welfare of all EPE employees. Terry enjoys interacting with all teams at EPE and has volunteered to serve on both the safety and internal audit committees. 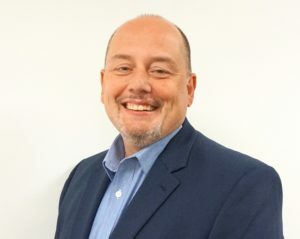 Prior to joining EPE, Terry spent 18 years at various EMS companies; including several years at Venture, a Tier 1 global electronics service provider. During those 18 years Terry developed as a financial expert in the EMS industry. Terry holds a Bachelor of Science Degree in Accounting from the University of Massachusetts. Steve possesses a wealth of knowledge in continuous improvement and quality systems. He began his career at Lockheed Sanders and progressed through the Manufacturing, Industrial, Process Engineering and Continuous Improvement organizations before becoming the Process Engineering Manager in the Circuit Card Assembly area. Steve facilitated and trained over 70 High Performance Teams in the DMAIC (Define, Measure, Analyze, Improve & Control) methodology at Lockheed Sanders and became a firm believer in Continuous Improvement utilizing process improvement teams after seeing their success. Steve entered the EMS industry working for SCI Systems and Colonial Electronics for more than 15 years setting up Quality Management Systems, data collection/review processes and leading Continuous Improvement efforts. He has championed several Kaizen events focused on streamlining critical process as well as improving the layout of work areas. Steve received his Bachelors Degree in Industrial Technology from the University of Lowell, an MBA from Southern New Hampshire University and Masters in Manufacturing and Engineering from Boston University. Chris joins EPE Corporation with over 30 years of experience in supply chain and materials management. Chris started his career at the former Sanders Associates, first as a stockroom clerk, finishing his time there as a Production Control Specialist. Chris then joined Benchmark Electronics, a Tier 1 global EMS provider. While at Benchmark, Chris held positions in Inventory Management and Configuration Management, eventually moving into the Supply Chain organization. He spent the last 10 years at Benchmark Electronics as their Director of Supply Chain where he was responsible for an annual material spend in excess of $100 million dollars. Chris holds a Bachelors Degree in Business Administration from Franklin Pierce. Steve’s career includes over 30 years of executive experience in the aerospace & defense, electronics, medical and industrial EMS industries. Since 2014, Steve has been an executive consultant, investor and board member for several companies including Answernet, ARG, Origo Acquisition Corp. and Weatherbell Analytics. Prior to 2014, Steve served as the Chief Executive Officer of Spectral Response, an EMS company that was sold to Hunter Technology in 2014. Prior to this, he was with API Nanotronics Corp. (API Technologies, Inc.) where he was Chief Executive Officer and a Director. From 2000 until joining API, Mr. Pudles was employed by OnCore Manufacturing Services LLC (formerly known as Nu Visions Manufacturing LLC) where he served as President and CEO from 2000 to 2007 and Executive Vice President from 2007 until joining API. OnCore is a full-service EMS company that is now part of NeoTech. Previously, he has held senior management positions with Tanon Manufacturing, Electronic Associates, IEC and Restor Industries. He began his career in various engineering and program management positions for McDonnell Douglas and ITT Defense Communications. Steve has a Masters of Science in Management and a Bachelor of Engineering from Stevens Institute of Technology in New Jersey. 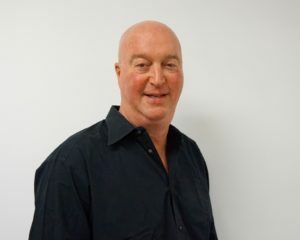 Since 2001, Steve has been a member of the Board of Directors of the IPC (the Association Connecting Electronics Industries)where he has also served as Chairman, Vice Chairman and Secretary/Treasurer of the International Trade Association. Steve joined EPE Corporation in November of 2017.